There are some food trends that I can’t embrace. Unicorn everything, please go away. And although it looks cute, I also have no time to cut my fruit into 1/2-inch star shapes and slide them into ombre parfaits. If someone would like to make me such parfait though, I would be over the moon. 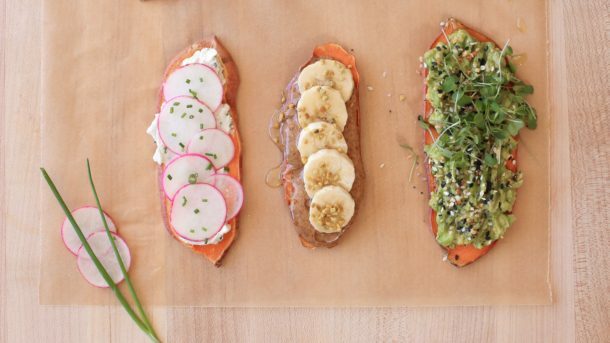 One food trend that I both like and make willingly is sweet potato toast. No, not sweet potato on toast. Sweet potato slices are the toast. What’s the point of that? Because sweet potatoes are amazing, delicious, nutrient-dense and most bread (I didn’t say all bread) is processed, devoid of nutrition and can be converted to sugar pretty quickly. I know it sounds crazy, but slices of raw sweet potato can be toasted the same way bread can be! 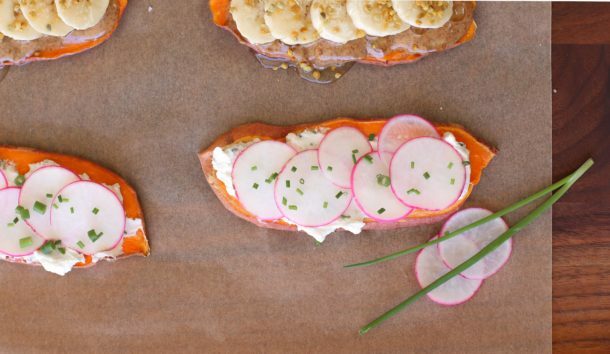 And once toasted, these sweet potato slices can be topped with all of the same toppings that you would put on regular toast. Obviously sweet potato toast does not feel like toasted bread. It’s not airy and crunchy. Instead, it’s just barely tender, but pretty neutral in flavor. As long as the slices aren’t too massive, you can pick them up like regular toast too. I always have sweet potatoes in the pantry, so this is a pretty easy default breakfast for me. 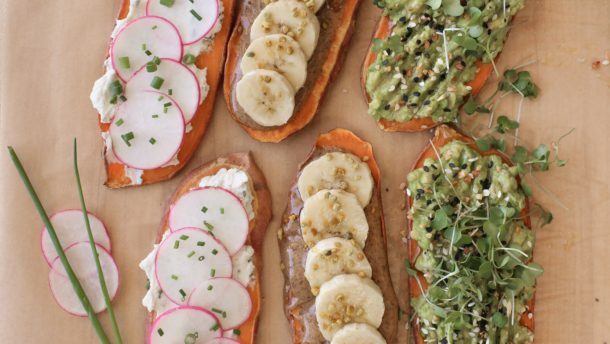 You don’t have to follow a paleo, grain-free or Whole30 diet to enjoy sweet potato toast. Get creative with the toppings (hummus, fried egg, sautéed apples – not all on one toast obviously!) and I think you’ll be surprised how delicious these are! 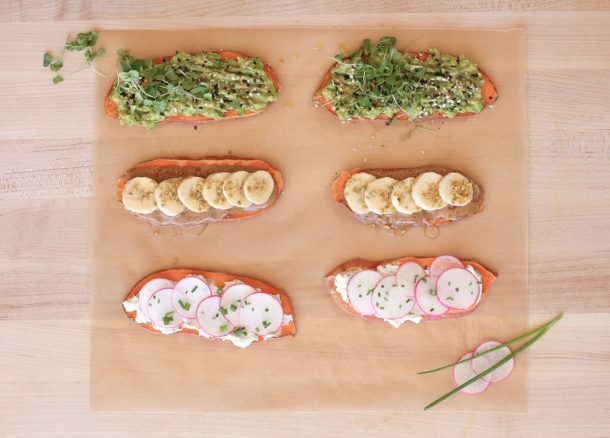 Toast the slices of sweet potatoes in a toaster or toaster oven for two cycles, or 10 minutes. Top with desired toppings and serve. I usually prepare 2 sweet potato slices with toppings for myself for breakfast. Thank you, Pamela! This is something I can do even in the hot days of summer!